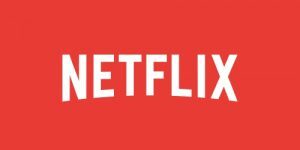 The VPN Lab - VPN Guides - Netflix Guides - Does IVPN Work With Netflix? IVPN is a minimalistic VPN located in Gibraltar, a British Overseas Territory. 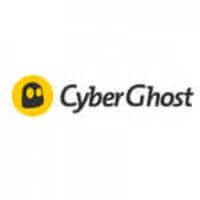 Its favorable location allows it to implement a strict no-logging policy, so you can rest assured that your private data will remain private with this VPN. However, it is important to keep in mind that the UK may have some sort of influence on its overseas territories. Namely, we are not quite sure whether the kingdom can force Gibraltar’s agencies to hand over personal data. As for the service itself, IVPN consciously omitted all the bells and whistles from its software in order to provide a seamless experience to its users. This business approach allowed the VPN to indeed work flawlessly: the connection speeds are off the charts, the security configuration is literally unbreakable, the company features its own DNS servers, there’s a double multi-hop feature paired with an excellent firewall that also acts as a killswitch, and the software supports up to 5 simultaneous connections. All in all, IVPN is one impressive service with the only potential downside being its high price. With all that in mind, let’s see if IVPN can allow you to bypass geo-restrictions and access the most coveted version of Netflix. IVPN does work with Netflix, which is excellent news for all casual and hard-core streamers out there. Its amazing connection speeds allow users to stream digital content in HD without any problems or buffering issues. One of the main concerns with any VPN is its effect on your overall speed and, luckily, this is something you don’t have to worry about with IVPN. One of the biggest advantages of using IVPN is the fact that the company never oversells its servers, which means there’s always bandwidth on tap and you’ll never have to deal with speed drops due to overcrowding. You’ll have unlimited bandwidth at your disposal, so the only limits will be those set by your ISP.